Softcover, 6 1/8 in. x 9 1/4 in. 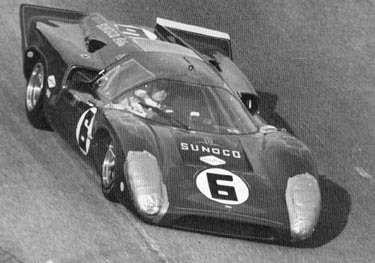 In 1974 Mark Donohue took a year off from driving at the height of his racing career and wrote a candid and revealing book about his journey through the world of auto racing - from amateur races in his own '57 Corvette to winning the Indy 500 in Roger Penske's McLaren M16. Yet there is nothing sensational about Donohue's story. 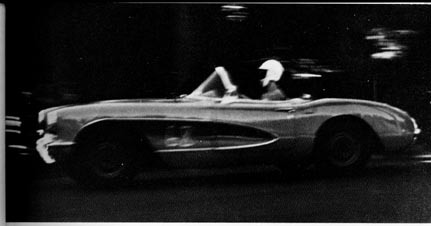 This is not a tale of fame and fortune, nor an exposé of the scandalous off-track lives of race-car drivers. 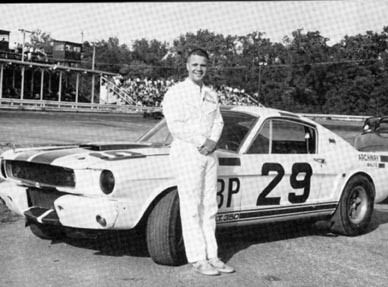 Rather Donohue presents a fascinating and focused behind-the-scenes look at how a champion driver - who won virtually every racing class he competed in - prepared himself and his cars to win. 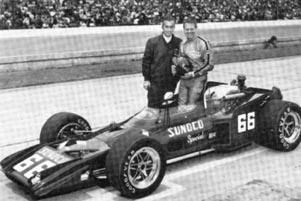 With characteristic modesty, Donohue is quick to attribute much of his racing success to the many "unfair advantages" he had over his competitors, such as faster engines, better tires, and a more professional crew. 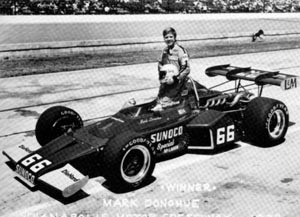 But after reading just a few chapters of his book, it becomes clear that Mark Donohue's greatest unfair advantage was his own relentless determination to build a better car and be a better driver every time he set foot on a race track. The Unfair Advantage captures a uniquely American blend of intellect and scrappiness. A graduate in engineering from Brown University, Donohue integrated creativity, openness to new ideas, humor, and his persistent will to win into every part of his approach to racing. When Donohue puts that formula into words in The Unfair Advantage the result is as much an attitude and perspective as anything else. 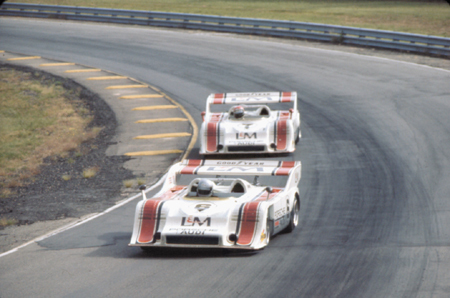 As such, it has had wide reaching and particularly personal impact for almost 30 years in the world of motorsport participants and enthusiasts. 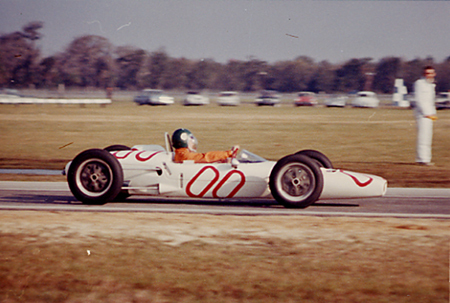 The Unfair Advantage is also a glimpse into a more human, albeit more dangerous, period in racing with raw, high-powered cars, comparatively small budgets and tight time tables. 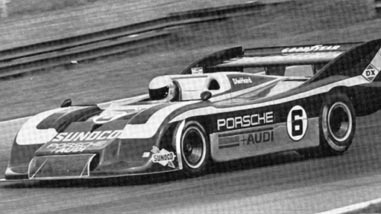 Many of the personalities, competition classes, and engineering principles of the early seventies still dominate the racing scene today. Inside you'll find profiles of many of the mechanics, drivers, and crew chiefs Donohue worked with, and won with during his career. 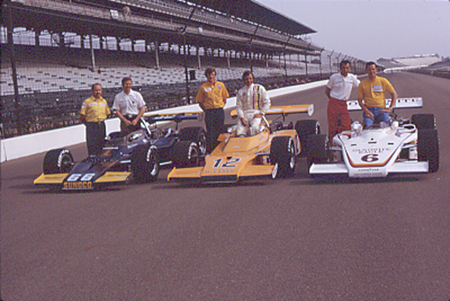 Special attention is given to Walter Hansgen, Peter Revson, Don Cox (Penske team engineer), Karl Kainhofer and John Woodard (Penske team mechanics) and of course Roger Penske. 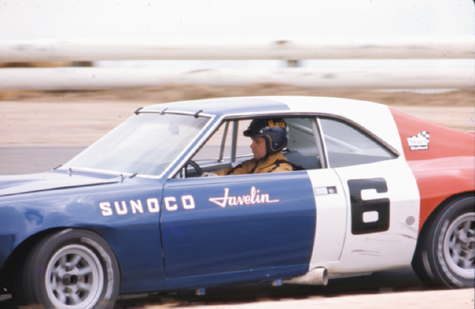 Donohue also shows how studying his major rivals - including Mario Andretti, Jacky Ickx, and Jackie Stewart - helped him to develop his own competitive edge. 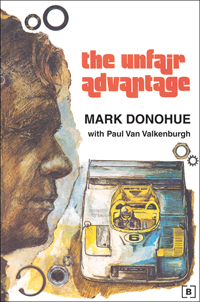 Many years after it's original publication, the Donohue sons and Bentley Publishers worked together to release a new edition of The Unfair Advantage. This new edition contains all of the original text. Expanded content includes photographs and separately appended material that fill out the Donohue story in words and pictures and provides historical context.